Prime Minister Ranil Wickremesinghe said yesterday that the Hambantota Port and Mattala Airport would be run as Public-Private Partnerships(PPPs) with Chinese Companies. Addressing the convention of the Institution of Engineers in Colombo, the Prime Minister revealed that the sale of Hambantota Port would bring in USD one billion for the country. 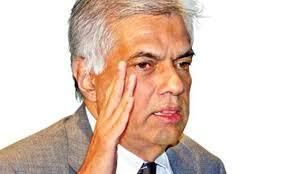 "We are also working on a PPP with another Chinese Company for Hambantota Airport. As a result, a further amount would accrue to the country’s official reserves," he added. Wickremesinghe said that both transactions would constitute non-debt creating FDI inflows which would help increase unencumbered official reserves significantly and have a more favourable impact on stabilising the exchange and interest rates than building up reserves using borrowed sources. The increased reserves could also serve as a useful cushion in the context of the expected increase in US interest rates and other Global Financial Market Development, he noted.